From the Wednesday in Holy Week Deacon Christopher and Diaconissa Elizabeth were in Finland with the blessing of Archbishop Gabriel, attending services in Helsinki. 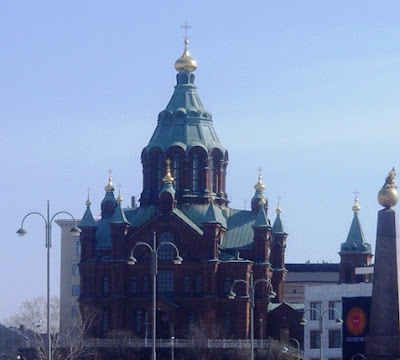 We were able to attend The Washing of Feet with Metropolitan Ambrose in Uspensky Cathedral, the service of the Twelve Gospels in Holy Trinity Church in Helsinki and the Good Friday Procession of the Shroud in Helsinki. 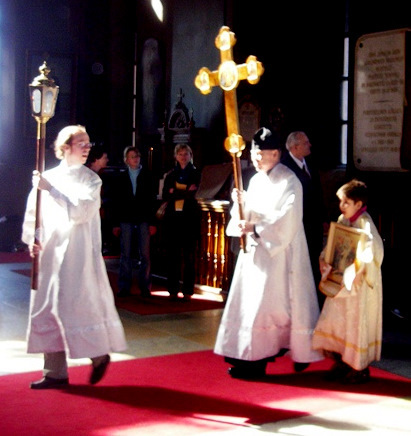 The Finns certainly live Orthodoxy and the services were very well attended. They also sing like angels. 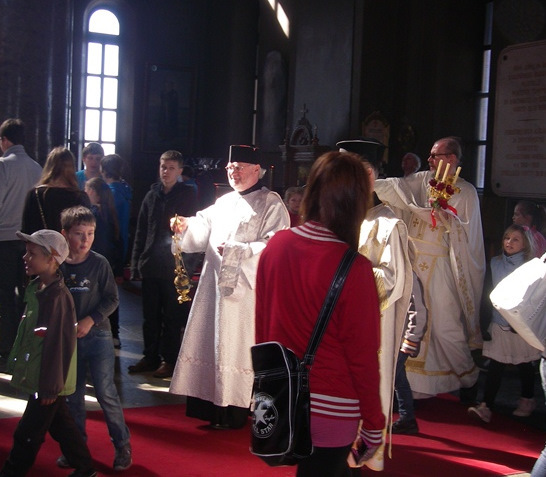 The celebration of the Divine Liturgy for the children of the Helsinki parish, in Uspensky cathedral, was a wonderful highlight. Over a thousand children each day of Bright week arrive attend. The Tuesday service we attended was a noisy, yet beautiful occasion and it was delightful to see the children in long lines, arms crossed and smiling faces coming to receive Holy Communion. 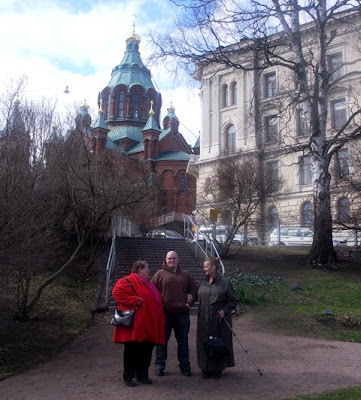 Thanks to our friends Irene and Aleksi Usano we were able to see much of the Finnish country side around Helsinki as well as partake of some exquisite Easter fare.